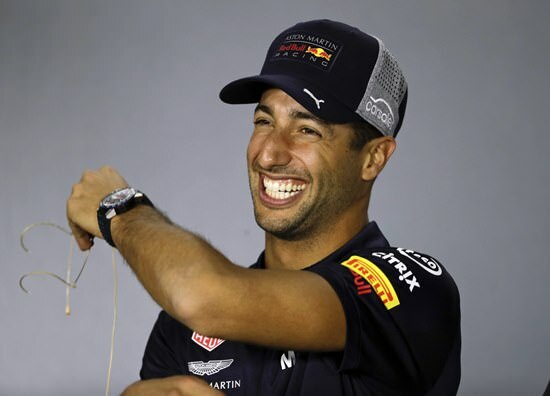 Ricciardo, who said he hasn’t spoken with Ferrari or Mercedes yet, said he won’t accept a faster car if it means playing second fiddle to an established star. Ricciardo’s ties to Red Bull go back a decade and the company supported him through his junior career. If Ricciardo goes to Mercedes, that would almost certainly mean a departure for Valtteri Bottas, who won three races in his debut season with Mercedes last year. Hamilton, meanwhile, said it will be “quite an easy thing” to extend his Mercedes contract, which also runs out this year. “I have every plan to be with the team for the future,” Hamilton said. As one of the most sought-after drivers in F1, Ricciardo is in no rush.